I scream, you scream, we all scream, for ice cream. We scream for flavor… but icy pain is not what we savor. Few phenomena scrunch our faces like a Brain freeze, or sphenopalatine ganglioneuralgia… a science term not said with ease. Sphenopalatine ganglions are nerve bundles controlling blood nourishing our nasal conch and nose lining tissue. Conchs are curled bone shelves dividing our nasal airway into groove-like passages that regulate temperature of inhaled air as it flows through. 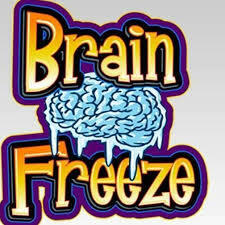 Brain freezes are sudden agonizing aches associated with ice cold sodas, ice cream, popsicles, frozen yogurt, slushes, and other icy foods we guzzle, gobble, or wolf. Unexpected pain shocks us when these cold sweets numb our mouth’s palate roof. When frosted, sphenopalatine ganglion nerves above our palate, trigger rapid blood vessel constriction, swollen palatine and sinus blood vessels rapidly follow. Sensing this speedy swelling progression pain receptors initiate throbbing responses before we even swallow. These changes signal our trigeminal nerve to alert our brain that a brain freeze is happening in our forehead or behind our eye as we writhe in pain. 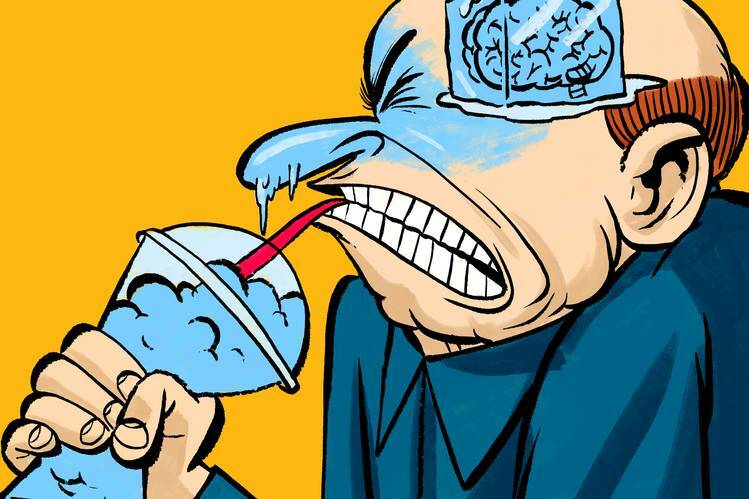 Expect at least one brain freeze happening in our lifetime. For migraine sufferers that number will climb! Brain freezes usually last for 30 seconds or more with ambient air temperatures and quarterly seasons not risk factors that make us roar. 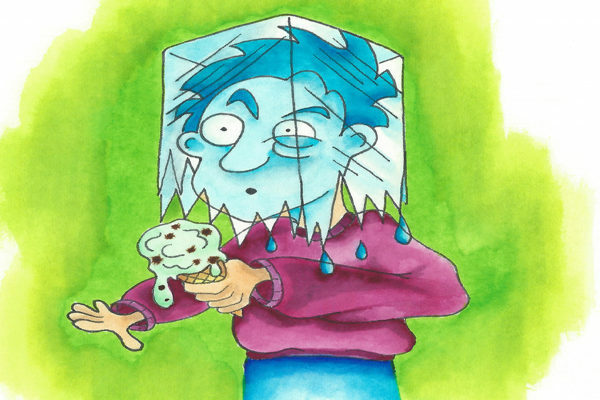 Brain freeze risks double when we guzzle or take large bites actions accelerating screaming odds chunks of icy sweets will stimulate our sensitive palate when chowing down frigid delights. 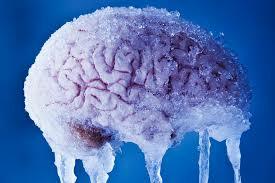 Brain freezes are preventable by eating slowly and taking a smaller bite. Lickable relief comes by placing our warm tongue against our cold palate roof and pressing it tight. While frosty sips and frigid scoops fetch a numbing FREEZE! It’s a funny feeling to know small and slow ensures painless icy sweet enjoyment whenever we PLEASE!